When Ba Jin arrived in France in February 1927, for a stay that lasted just under two years, a debate had already been stirred up in anarchist circles for many months, especially among political exiles, on organisational and doctrinal issues. Kicking off in summer 1925, on the initiative of Russian libertarian militants who had fled the Bolshevik terror, confrontations had notably resulted in the publication of this text, dated June 1926, which subsequently enjoyed a passing fortune, Organisational Platform of the General Union of Anarchists - wrongly called the " Arshinov Platform" after the secretary of the editorial group, since it was a collective work attributable to among other the celebrated Makhno . And Ba Jin was only there a few weeks when the most famous criticism directed against this project appeared in April 1927 which, although it likewise bore many signatures, was drafted mainly by Volin. The controversy had the effect of radically dividing the French anarchist movement, and at least until the early 1930s: in November 1927, the Union Anarchiste Communiste (UAC) - which, in July 1926, Nestor Makhno and Piotr Arshinov joined- adopted statutes inspired by the "Platform" to turn into a Union Anarchiste Communiste Revolutionnaire (UACR), while seceding opponents of the "Platform", regrouped in the Association Des Federalistes Anarchistes (AFA) on a "synthetic" base, but as theorized by Sébastien Faure . And it was not until April 1930 that the UACR definitely repudiated the "platformist" theses and returned to its former principles, and in May 1934 merged with the AFA in a single group, the Union Anarchiste (UA). The "Platform" will not be dead and buried for long, and has repeatedly been revived in France or elsewhere. The editorial group of the "Platform" had as a concrete ambition to establish a universal International Union of Anarchists, which would be "an international body uniting in a single organisation the forces in solidarity with the main theoretical theses and practical suggestions outlined in the "Platform" ". 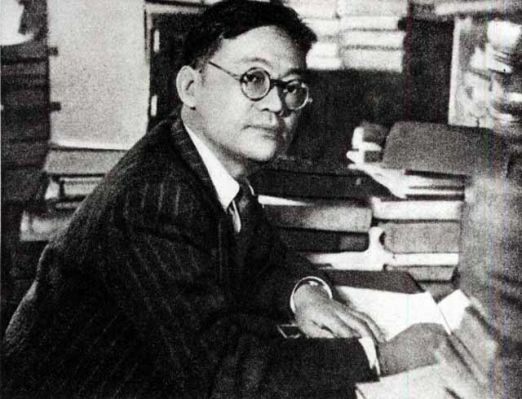 To this end, in order to "prepare the ground", an "interim committee" was formed on February 12, 1927 - a week before Ba Jin arrived at the Gare de Lyon - at a meeting held in a Parisian bistro, located at 62 Rue de la Roquette, in the presence of Russian, French, Spanish, Italian and Polish libertarians, and even a Chinese libertarian. It consisted of the Russian Makhno, the Polish Ranko (Benjamin Goldberg) and exactly this Chinese, Wu Kegang (called Chen ). Wu Kegang was a young student in economics at the Sorbonne  with whom Ba Jin became acquainted on setting foot in Paris. It was Wu Kegang who came to meet Ba Jin when he got off the train,Wu Kegang who found Ba Jin and the friend who had travelled with him from China, Wei Huilin  , a hotel, or rather a kind of boarding house at 5 Rue Blainville, in the 5th arrondissement, where he himself lived, and it was again Wu Kegang who, a month later, moved with the two of them into a second hotel located close to the first, at 2 rue Tournefort. Together, the three young men drafted a text that appeared in Shanghai in April 1927, in the form of a booklet entitled Anarchism and practical issues, a booklet that they signed with the names Huilin [Wei Huilin] Feigan [Ba Jin] and Jun Yi [Wu Kegang]  and in which each one made their arguments about the opportunity for anarchists to cooperate or not with the Kuomintang. Above all, Ba Jin intervened in the debate on the "Platform" by a written contribution that was intended for the interim committee on which Wu Kegang sat. For reasons which will become clearer later, the report remained unpublished, except for a long passage he confided hidden behind the pseudonym Renping to Pingdeng (Equality), a Chinese magazine of anarchist persuasion, based in the United States, in San Francisco, under the title " Chinese Anarchism and the question of organization" . He launched a plea in defence of organisation, an organisation that is not centralised, but never referring, at least in the published part, to the programme of the Group of Russian Anarchists Abroad. Ba Jin's support for the Platformist movement seems to have been limited to this written contribution, and nothing leaves us to suggest that, for example, attended one or other of the meetings organised by the comrades of Wu Kegang. He failed to attend these, but he had nevertheless come across a few: Makhno, according to Wei Huilin , and more definitely Aniela Wolberg, Ranko and Ida Mett, if we take account of his autobiographical fiction  . On 22nd February, this interim committee held an international conference, which opened March 20, 1927 at the cinema Les Roses, Rue de Metz, in L'Hay-les-Roses  , in the Paris suburbs, exclusively of those who supported the "Platform", even just in outline. Among the participants whose presence is noted there were members of the UAC - not delegates, the UAC, then, not having determined in favour of the "Platform" – were Peter Lentente, Severin Férandel or Rene Boucher (Pierre Le Meillour, absent, showed his support by sending a letter), and of the Anarchist Youth, Pierre Odeon (Pierre Perrin);the team of Russian anarchists behind the event, of which Archinov, Makhno and Ida Gilman (Ida Mett); two groups of Italians, a group led by Viola (Giuseppe Bifolchi), and the Pensiero e Volontà group with Luigi Fabbri, Camillo Berneri and Hugo Treni (Ugo Fedeli ); a group of Poles, including Ranko, Jean Walecki (Isaak Gurfinkiel ) and Aniela Wolberg; another of Bulgarians, with Avram Tchelebiev; and a third of Spaniards; Finally, individuals who came as such like Achille Dauphin-Meunier or Wu Kegang and as well the Russian Isaac Kantorivtich and the Italian Mario Frazzoni of whom we do not know in which capacity they were there. 5) The need for a creative positive programme for social revolution. The discussions apparently were very lively. The Pensiero e Volontà group was not totally committed to the "platformist" theses, Werny (Fedeli) estimating that the "platform" which was presented to them was probably perfect for the Russians "but for them only," and Fabbri shocked by some formulations declared that he not share the opinion of the "Platform" on "class warfare", the anarchist ideal being a "human ideal”, enemy of all authority. He suggested in consequence some of amendments to the motion that was brought before the meeting, more numerous and less anodyne than has sometimes been recounted . Regarding the first point, he asked it to be corrected to: "The recognition of the struggle of all the exploited and oppressed against the authority of the state and capital as the most important factor of the anarchist system. “And the fifth: "Necessity in every country in the most general possible anarchist Union having the same ultimate goal and the same practical tactic, as well as collective responsibility. " But on April 1, the provisional committee distributed a circular in which it freed itself from the reservations expressed at the conference and against alternative proposals, and took for granted the creation of an "International Revolutionary Anarchist Communist Federation" built on the precepts of the "Platform". The Pensiero e Volontà group announced that it preferred to stand aside "at the moment" from the enterprise, and it was imitated in this by other participants in the conference [ 21 ]. For if, at the conference, disagreements had not been resolved it was because the meeting was interrupted by an unexpected raid of the police, alerted certainly by an informer, which netted everyone [22 . "About thirty anarchists, Russian, Polish, Bulgarian, Italian, Chinese and Spanish activists have just received an expulsion notice requiring them to have to leave France before June 10th. These men,so odiously driven from France, were forced to leave their respective countries where cruel dictatorships reigned which put anarchists outside the law. Among those expelled one even found a Chinese student...  "
Ba Jin, who evokes the episode in his short story "Aniela Wolberg," hastened to tell his correspondents, in this case the anarchists Emma Goldman and Alexander Berkman , that Wu Kegang had been expelled from the territory. Actually, the latter did not leave France until autumn 1927 aboard a boat that also took Jacques Reclus  to Shanghai. The French authorities had not kept up to date on him in the immediate: in October 1927, they decreed that "the person called Woo Yang Hao [Wu Kegang],…. [was] still subject to an investigation "; and early the following year, when he had already returned to China, they authorised him, with Camillo Berneri, Ida Mett, Isaac Kantorovitch, Avram Tchelebiev and Luigi Fabbri, to reside in France, "by way of renewable quarterly probation ". There the matter rested. In August the editorial group of the "Platform” responded to Volin with A Reply to the Confusionists of Anarchism, and sometime later, as we have seen, the "Platform" was adopted by the UAC. However the International Revolutionary Anarchist Communist Federation never saw the light of day, and most of the expulsions pronounced were finally carried out, when departures were not voluntary . Ba Jin, in his case, moved in July 1927 to Chateau-Thierry, in the Aisne, a hundred kilometers from Paris.We have made the assumption elsewhere that to the reasons he had always invoked to explain this decision - to offer his sick lungs healthier lungs a healthier air than that of the capital, and spare his purse by choosing a less expensive way of life – could perhaps be added the fear of being involved in this matter in which Wu Kegang was implicated and, ultimately, that he regarded only from a distance . Published first in Russian in the journal Dielo Truda (The Cause of Labour), serialized, beginning in June 1926, it was translated into French the following October, in a version paradoxically set up by Volin, its main detractor , who is even accused of having distorted the original text: the Russian Anarchist Group Abroad , The Organisational Platform of the General Union of Anarchists (Draft), followed by "Supplement to the Platform for organisation of the General Union of Anarchists (questions and answers) ", Librarie Internationale, 1926. [ 4] Ibid., p. 280. [ 5] Reply of several anarchists ["About the project a" platform organization '"], in: L’Organisation anarchiste ,p. 120. [ 6] Errico Malatesta, "Response to the Platform" (1927), ibid., p. 133. See his article, , « De la synthèse »,in La Revue anarchiste, nos 25 and 27 March and May 1924, p.2-8 and 2-4. Archinov, "Introduction" to the platform (20 June 1926), in: Alexander Skirda, p. 255. Sébastien Faure, " La Synthèse anarchiste " (1928), in: L’Organisation anarchiste , p. 135-146. Unless otherwise noted, the following information comes from a report of the "International Meeting, anarchist movie theatre of Roses, L'Hay-les-Roses, March 20," dated March 21, 1927 (Archives of the Prefecture of Police, Paris, BA, 1899, 350,000-H6); and the testimony of one of the participants, Ugo Fedeli, "Principi e metodi dell'organizzazione" Volontà 4-5, 15 November 1948, p. 267-272, and No. 6, January 15, 1949, p. 373-382. At other times, his name is transcribed as Cen or Tchen. He is probably also the "Chinese" who had participated in the commemorative meeting on the first anniversary of the birth of the journal Dielo Truda,June 20, 1926 (Skirda, p. 164). Wu Kegang (1903-1999) - or Wu Yanghao (Woo Yang-hao) - librarian and teacher, cooperative economics specialist, moved to Taiwan after 1945, where he ended his life. See Angel Pino, notice "Wu Kegang", in: Dictionnaire biographique du mouvement libertaire francophone [DBMLF] (forthcoming). Wei Huilin (Wei Hwei-lin, 1900-1992), ethnologist and sociologist, student at Paris Celestin Bougie, who moved to Taiwan in 1949 when the Communist Party took power in China. See Angel Pino, notice "Wei Huilin", in: DBMLF (forthcoming). Huilin [Wei Huilin] Feigan [Ba Jin] and Jun Yi [Wu Kegang] Wuzhengfuzhuyi shiji wenti yu (Anarchism and practical issues), she Minzhong, Shanghai, April 1927. Renping [Ba Jin], "Zhongguo yu wuzhengfuzhuyi zuzhi wenti" ("Chinese Anarchism and the question of organisation") Pingdeng (Equality), San Francisco, vol. 1, No. 2, August 1, 1927; now in Ba Jin Quanji (Complete Works of Ba Jin), Renmin wenxue chubanshe, Beijing, vol. 18, 1993, p. 129-132. See Paul Avrich, Anarchist Voices: An Oral History of Anarchism in America, Oakland (California, USA) / Edinburgh (Scotland), AK Press, 2005, p. 408. Ba Jin has made characters out of them, with Wu Kegang in his short stories “Yalianna" [Aniela] (1931) and "Yalianna Woboerge" [Aniela Wolberg] (1933). In the French versions of these two texts, their names were transcribedwrongly: in defense of the translators, we must admit that Ba Jin, with his Sichuan pronunciation, had difficulty in distinguishing between certain sounds. Should read Aniela Wolberg for Ariana Volberg and Ranko for Handke. See Pa Kin, , Le Secret de Robespierre, et autres nouvelles, various translators, Paris, Mazarine, coll. "Roman", 1980, p. 139-153 and 155-165. And not April 20 in Bourg-la-Reine as found written sometimes, the confusion coming from from the Fedeli account. In the archives of the police, he is registered as Hugo Werny, a Russian national (Arch. PPo, BA 1899). As Gaetano Manfredonia pointed out, , La Lutte humaine : Luigi Fabbri, le mouvement anarchiste italien et la lutte contre le fascisme ,Paris, Editions du Monde libertarire, Paris, 1994 p. 136 sq. For Skirda to the contrary, Fabbri proposed only a "slight modification" (p. 178). One finds in the "Notes for a bibliography of Berneri" compiled by Giovambattista Carroza for the collection of Selected Works of Camillo Berneri (introduction Gino Cerrito, Paris, Editions duMonde Libertaire, 1988, p. 322-323) a list of positions of Italian anarchists, especially those who participated in this conference, regarding the "Platform". Malcolm Menzies gives a slightly different version of the event, which is not based on any verifiable source alas: the meeting would not have taken place in the cinema itself, but in an apartment above, and it is the participants who decided to adjourn when they realized that the police were encircling the building; then, they tried without success to escape by mingling with the spectators who were leaving the cinema, but not before burning all incriminating documents (Makhno, an epic: the anarchist uprising in Ukraine from 1918 to 1921, translated from English by Michel Chrestien, Paris, Belfond, 1972, p. 237). [ 23 ] Ba Jin, "Ariana Volberg," p. 158. [ 24 ] F. [Férandel], "Mass Expulsion of libertarian activists", Le Libertaire, June 10, 1927. [ 25 ] Letter from Li Yao Tang [Ba Jin] to Emma Goldman, July 5, 1927, The Emma Goldman Papers, reel 18; Li Tang Yao letter to Alexander Berkman, July 18, 1927, International Institute of Social History,Amsterdam, IISG, Alexander Berkman Papers, General Correspondence, 47, letter of May 20, 1925. Shaokelu [Jacques Reclus], "Wo suo renshide Li Yuying xiansheng" (Mr. Li Yuying as I knew),Zhuanji wenxue (Biographical Literature), 45, No. 3, 1984, seven. pp. 87-88. On Jacques Reclus (1894-1984), son of Paul, the son of Elisee, who spent a quarter century in China, see the iarticle that we that we devote to him in the DBMLF. [Georges]Renard, Director of General Security, Chief of Staff to the Minister of the Interior, for the Commissioner of Police, Office, Office 1, October 19, 1927 (Arch.PPo, BA 1899 ). The Minister of the Interior to the Prefect of Police, Office, Office 1, 9 January 1928 (Arch. PPo, BA 1899). Group of Russian Anarchists Abroad, Reply to the confusionists of anarchism, Librarie Internationale, 1927 text republished in Skirda, p. 295-311. Makhno could remain in France, providing he strictly complied with the requirement of policy reserves, thanks to the intervention of the anarchist Louis Lecoin with the police commissioner Chiappe (Louis Lecoin De prison en prison, 1947 Antony, p. 176-177). Angel Pino, "Ba Jin, la France et Chateau-Thierry", in : Ba Jin, un écrivain du peuple au pays de Jean de la Fontaine, Chateau-Thierry, , Musée Jean de la Fontaine Museum, 2009, p. 193. The Dictionnaire Biographique du Mouvement Libertaire Francophone mentioned as forthcoming in the text was published on May 1st 2014. It was sold out within four months resulting in another reprint. In a way, the specifists/platformists anarchist organisations involved in the anarkismo.net project are a step toward an international of the pro organisation anarchists.